We were coming from a local museum of photography when we passed by this little world of surprises and exceptional talent. A collection of classics is not made by choices but efforts. 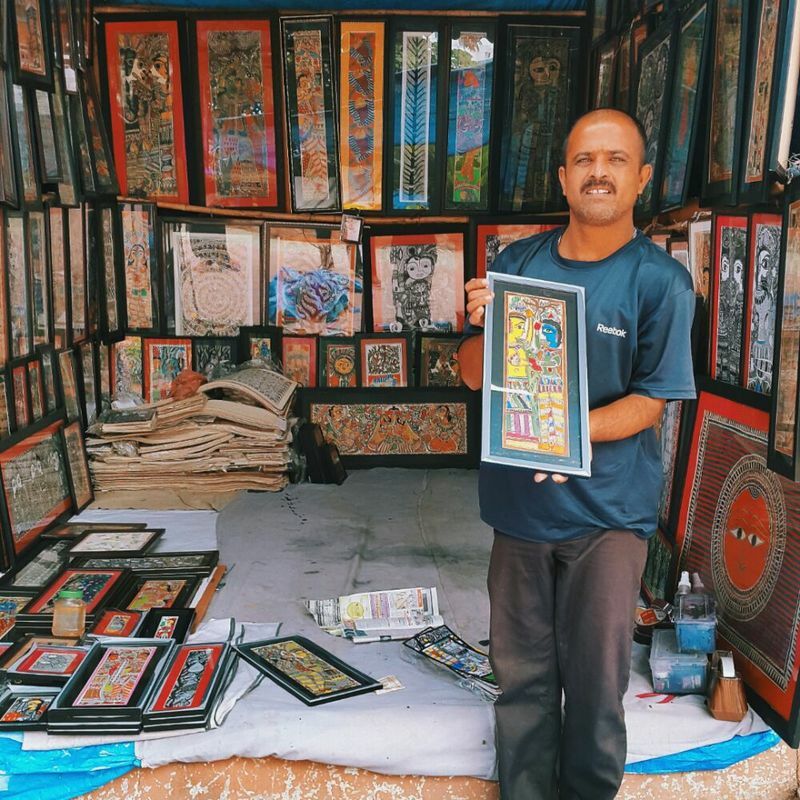 He had all the classic framed painting by his side making his small shop an unexplored world of stories and beautiful thrill. We just kept looking at all the mysterious eyes in the different pictures which were trying to take ourselves in their interesting world. He had not differentiated his arts into categories; he had not separated his two frames by creating a wall between them. Each art was touching to the other arts like they are holding their hands. Picture of one frame seemed to talking to the picture of their neighboring frame, explaining in how much efforts they had been brought to existence. They seemed to be like siblings to each other, different but same, they were talking pictures. And in the front, standing is the father, the creator of them all. He represented each of his children to us with a sign of contentment on his face, proud in his actions and love for the picture in his hands. After being encountered by this amazing little piece of museum, we felt privileged to see the love entitles in each picture and due to the heart melting generosity of the creator, the status of the photography museum that we had visited earlier became very small. This was the museum in real meaning. It had all the flavors including, love, talent, beauty and acceptance of audience, which made it a perfect place to visit, to talk about and to take a photograph of. If we could, we would have loved to purchase the entire master pieces from this little museum.